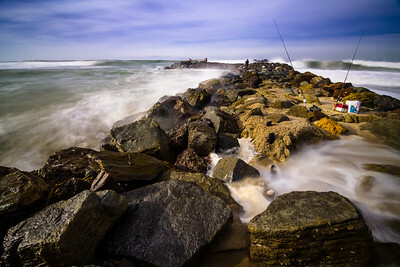 Want to hang one of these images on your wall? All are available in common sizes as paper prints, or ready-to-hang metal prints and gallery-wrapped canvas. Click the shopping cart icon while hovering over an image, or click "BUY PHOTOS" to the right and explore your options! 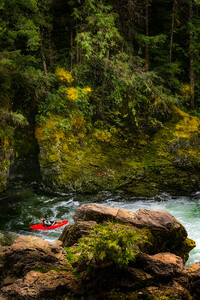 Near sunset, a whitewater kayaker waits for the rest of his party against a lush forest background on Little North Santiam River in Oregon. 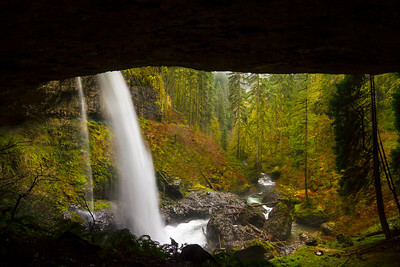 Looking out from behind North Falls in Silver Falls State Park, Oregon. The roar of water falling 136ft onto basalt chunks is impresive in this rocky amphitheater-like geologic feature on the backside of the falls. 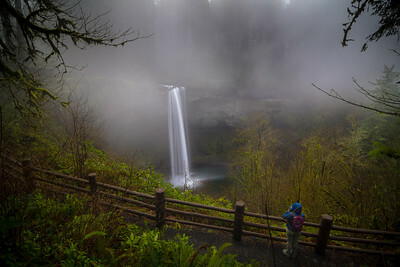 After a short but steep hike down to and then along Abiqua Creek, a group of hikers arrives at Abiqua Falls. Oregon. 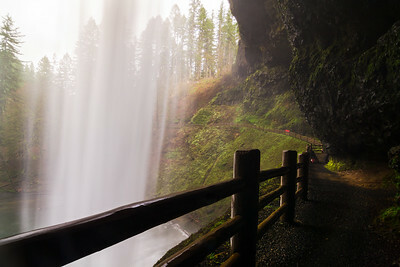 The roar and spray of the backside of South Falls is powerful! 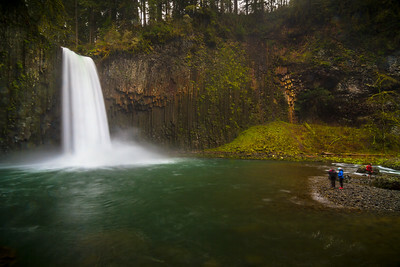 Iconic waterfall in Silver Falls State Park, Oregon. Memorizing a misty moment. South Falls of Silver Falls State Park in Oregon. 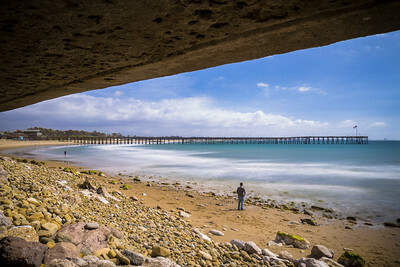 Enjoying long exposures during a sunny day on the Promenade at San Buenaventura State Beach in Ventura, California. In Ventura, California two friends atop a wave-ridden jetty at high tide have spotted their next fishing spot on a chilly December morning in Ventura, California. 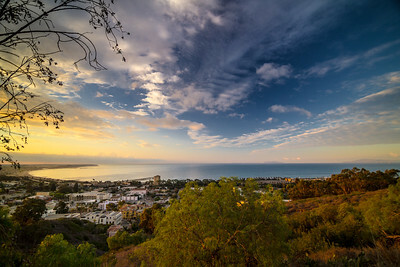 A wide angle view of Ventura, Calif., just before sunset on a partly cloudy winter evening. 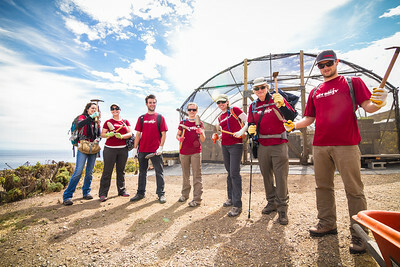 The REI Santa Barbara Anacapa Islands volunteer crew gathers outside of the NPS' nursery, ready to tackle some iceplant! 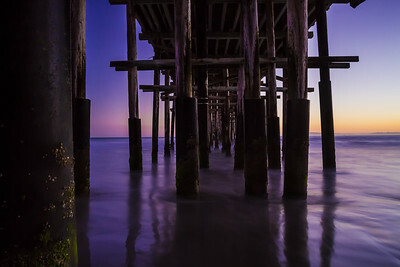 Enjoying the color and soft light of dusk under the Ventura, California Pier. 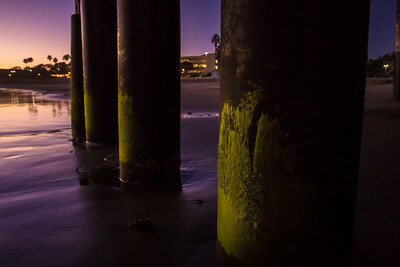 Enjoying the colors and soft lingering light of sunset on the mossy pillars under the Ventura Pier in Ventura, Calif. The sun has gone down and clouds roll overhead bringing a light rain in this long exposure image from Ventura Pier in Ventura, Calif.
Our canoe is nearly prepped and ready for a light adventure spotting birds, howler monkeys, butterflies, and reptiles while being guided along a river near the Caribbean Coast of Costa Rica. 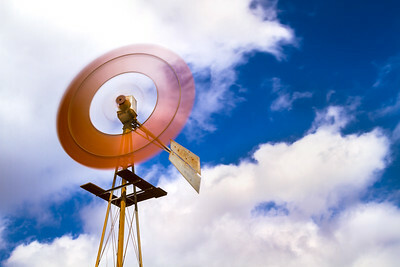 Clouds drift quickly behind an oscillating windmill catchinig the breeze. 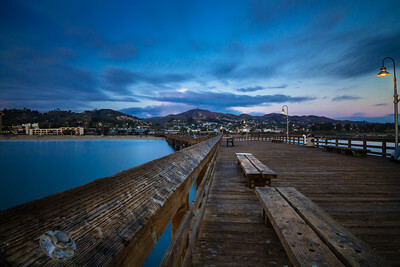 All's quiet on the Ventura Pier at dawn, save for the lone man with a motorized bicycle wrapping up his fishing session -- his friendly but mangy dog in tow, lugging an even mangier toy. 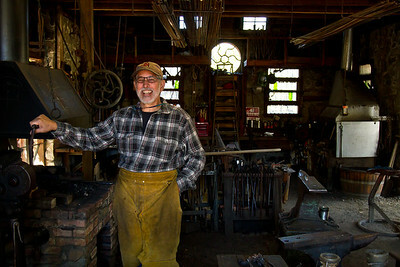 Russ LoBue is a friendly and informative docent blacksmith for the Folsom Historical Society at the blacksmith shop in Pioneer Village within Old Town Folsom, Calif. The forge was built by the California Blacksmith's Association in the 1970s, is reflective of an 1850s era forge, and sits right next to the historic Sacramento Valley Railroad. The surrounding facility is known as Pioneer Village, an open-air museum that takes visitors through the life and times of Folsom's goldminers, smiths, farmers, and their machinery. Russ works on and off throughout the week on personal smithing projects while educating curious patrons. He was happy to show us the tools and materials of his trade, but most enjoys regaling children with stories of the life of a blacksmith. "Do you guys know why I'm in here?" he recalls humorously asking students, "because this is my playground!" 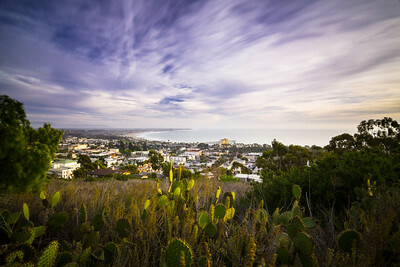 Image from a stormy sunrise dolly time lapse sequence at Surfers' Point in Ventura, Calif., featuring the promenade, palm trees, and beautiful stormy clouds. 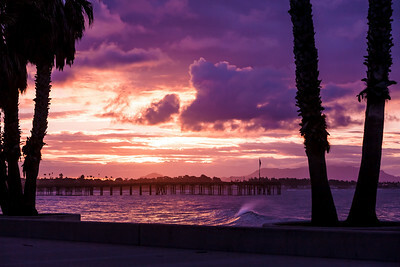 A cool and stormy morning at Surfers' Point in Ventura, Calif., leaves nothing to be desired with its powerfully colorful clouds, dramatic light, and a high tide. 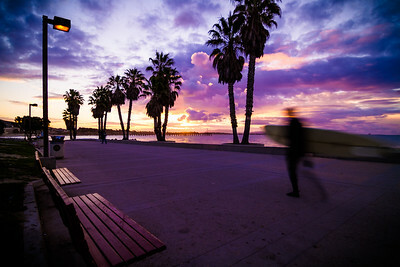 A great time for an energizing jog or bike ride along the promenade. 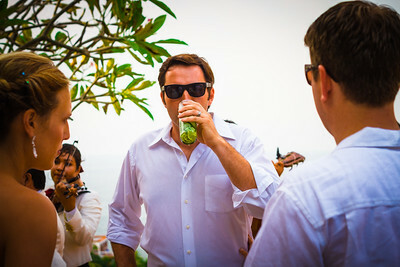 Feeling classy at the wedding reception in Sayulita, Nayarit, Mexico. 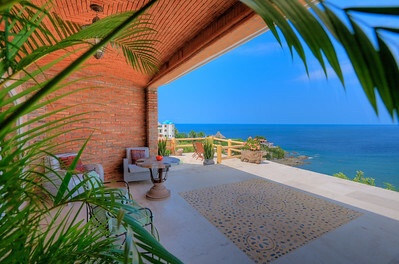 The view from the luxurious Grand Villa in quaint fishing village Sayulita in Nayarit, Mexico. It's cool but not cold this morning, a midweight fleece keeps me focused. Clouds move steadily overhead. This wonderful view before me makes for a peaceful morning while watching a sleepy downtown Ventura, Calif., begin to buzz with activity. 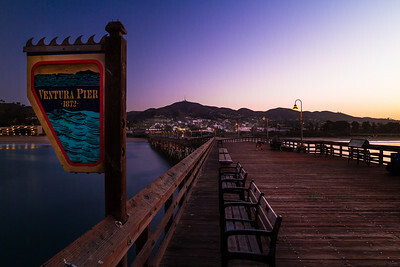 Soon the sun will warm the hills, trees, buildings and r oads of this beach town, as well as Oxnard to the South (left), and Anacapa and Santa Rosa Islands - part of Channel Islands National Park - in the distance. The moon sets as the sun rises on coastal Ventura, California, where early-to-rise surfers have been braving the biting ocean temperatures since before dawn. 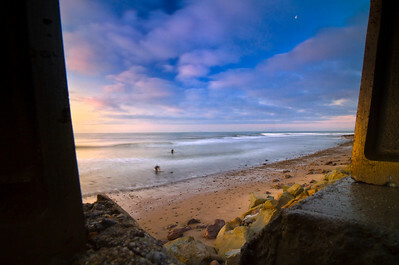 The sun rises, whispy clouds waft aimlessly overhead, and the ebb and flow of amorphous salted wave meets solidified beach rock as an ever-dedicated surfer heads out for a morning ride at Surfers' Point in Ventura, Calif., on Saturday, February 4, 2012. The lifestyle is strong here. 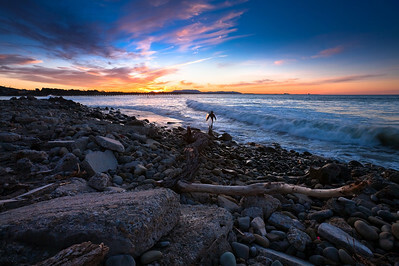 Just after sunrise at the popular hotspot Surfers' Point, in Ventura, Calif., stacks of mysterious rocks remain impeccably still and balance even amongst ocean winds and lapping water, while surfers catch chilled morning waves in Pierpont Bay. 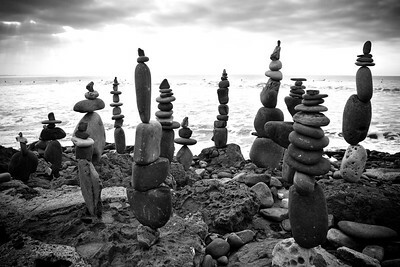 These totem-like creations occasionally appear along the California coastline, most often created by surfers.